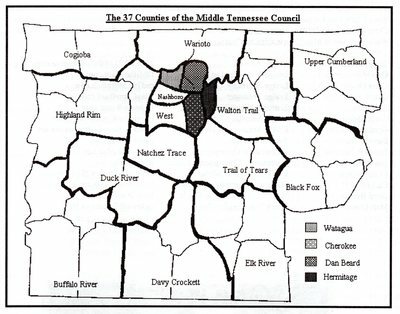 If you're a Middle Tennessee Scouter, you've probably heard of Elk River District, Upper Cumberland District, and James E. West District. 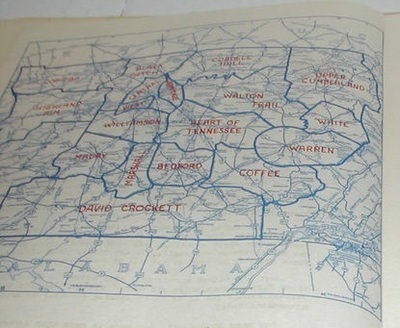 But do you know of Black Patch District, White District, or Coffee District? 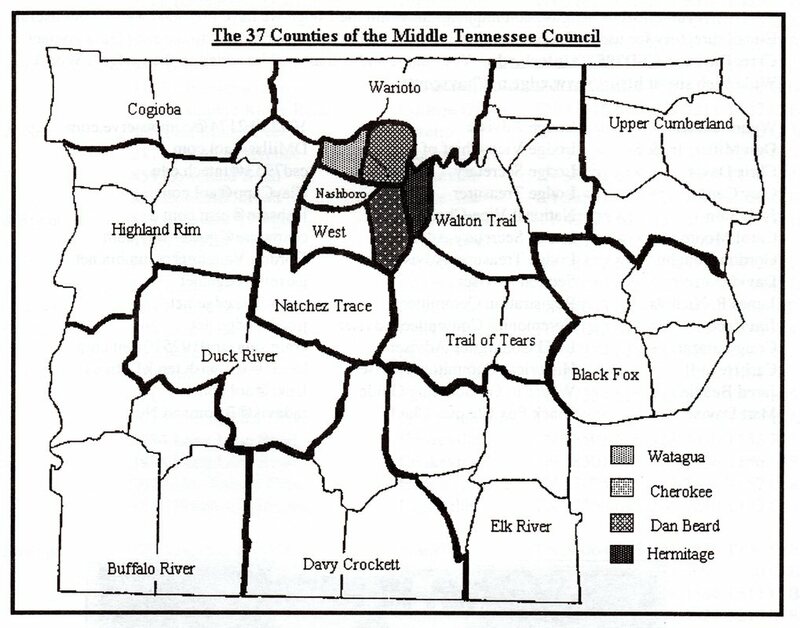 They were all MTC districts of the 1950s. 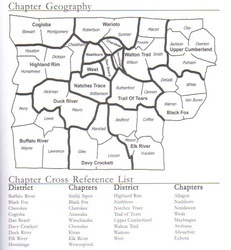 How about the short-lived Anderson District or Two Rivers District, both of which were around in the 1970s-1980s. 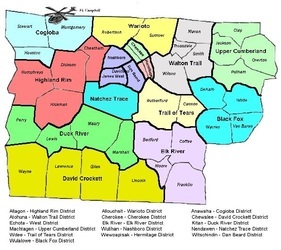 Well check out the district maps and lists here to see how the MTC districts have evolved. 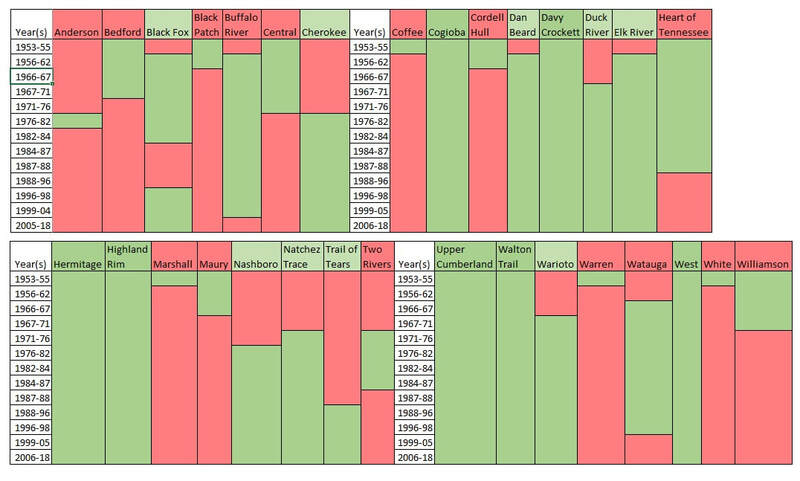 The above chart shows the earliest and latest known existence of each district. 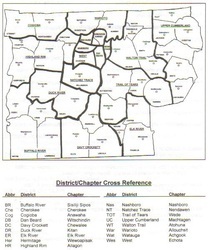 It is based on either known (to me) dated district lists or district maps (Click on them below! 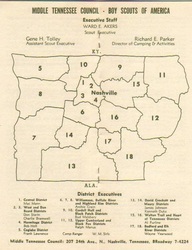 ), newsletters or other paperwork, or known dated district patches (see the specific district issued patches pages). 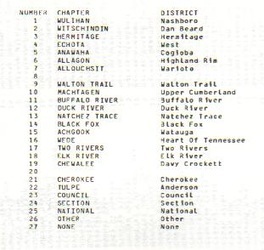 Note that in most cases I do not know the exact dates the districts formed or disbanded. 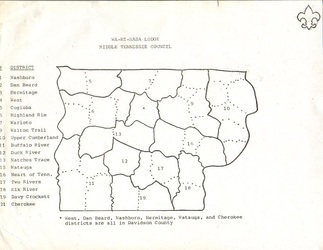 For example, Warioto District may have been in existence in 1966 or 1967 even though it is not colored green in those years, but the earliest documentation I have on it being in existence (a dated camporee patch) is 1969.